A multivibrator is a device that switches between two states. 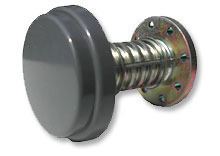 It is a type of oscillator and can be used as a trigger, converter, moderator, or divider. It usually produces changes in a system at timed intervals, depending on the number and placement of resistors and other elements within the system as well as the input signal’s intensity. An astable multivibrator is a multivibrator that does not rest in an unstable state like other multivibrators, but continuously switches between two states. Astable multivibrators switch between two states without stopping by using their output signal to recharge the input signal. This works via a transistor or amplifier that amplifies the output signal and forwards the charge to the input. 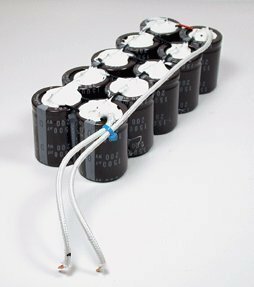 Generally, there are two capacitors in between the input and output terminals, one is fully charged and the other is fully discharged, which allows voltage levels to be stepped up or down. As the charged capacitor discharges and transfers its energy to the second capacitor, the second capacitor recharges and prepares to discharge the energy back to the input. This allows the astable multivibrator to switch between a high state and a low state on a continuous cycle. Astable multivibrators are used in amateur radio equipment to receive and transmit radio signals. Astable multivibrators are also used in morse code generators, timers, and systems that require a square wave, including television broadcasts and analog circuits. Astable multivibrators continuously switch between one state and another. This allows astable multivibrators to power themselves and perform work at a consistent rate without influence from any outside forces or events. Additionally, astable multivibrators are inexpensive to produce, are relatively simple in design, and can remain functional for extraordinary amounts of time. Astable multivibrators do not transfer the entire output signal to the input. This is due to resistance within the circuit, lack of a completely closed loop at the output terminals, and the tendency for one capacitor or transistor to absorb energy at a slightly different rate than the other. 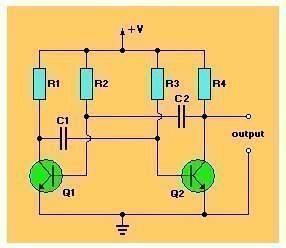 Although the amplifier restores the lost energy when it amplifies the signal, the signal will eventually be too small to be of any use. 458 queries in 0.826 seconds.